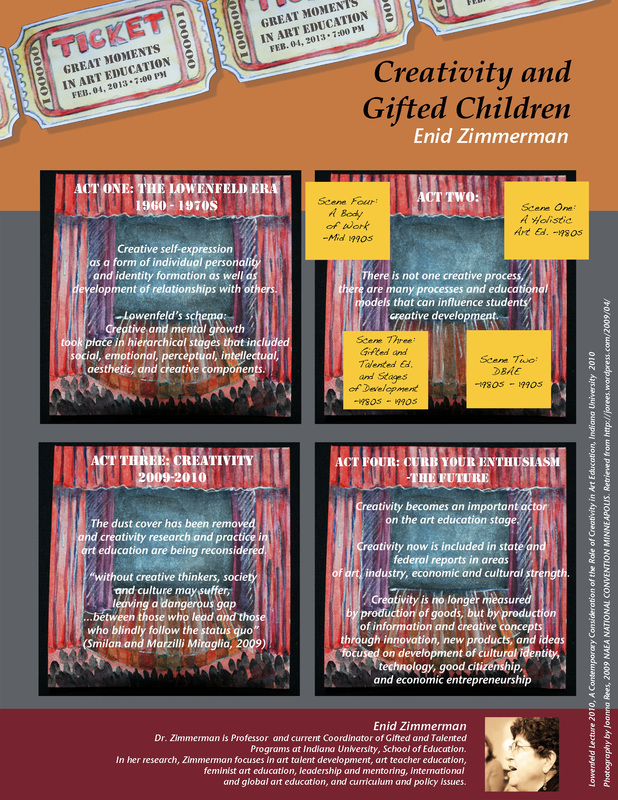 Creativity and Gifted Children by Enid Zimmerman. A graphic presentation on a remarkable art educator ideas and views about her takes on creative and gifted children. Based on Lowenfeld Lecture, 2010. A contemporary consideration on the role of creativity in Art Education.